Audiences fell in love with "Crazy Rich Asians." The Warner Bros. romantic comedy opened to an estimated $25.2 million at the domestic box office this weekend. That was enough to give the film starring Constance Wu and Henry Golding the top spot at the box office. The film has made $34 million over its five day opening, which exceeded industry expectations that had it bringing in closer to $25 million. "Crazy Rich Asians" is a watershed moment for on-screen representation. It is the first major studio film since "The Joy Luck Club" 25 years ago to feature a predominately Asian cast. The film has had an immense amount of media buzz and created a movement on social media with the #GoldOpen hashtag that was created to drum up attention and draw a big box office. The film, which is based on the novel of the same name by Kevin Kwan, tells the story of a college professor who meets her boyfriend's wealthy family in Singapore. The strong opening for "Crazy Rich Asians" is also a big moment for romantic comedies. It was the first time that a rom-com has topped the box office since June of 2014. The genre, which was once one of the Hollywood's most reliable, now thrive on Netflix rather than the cineplex. The creators of "Crazy Rich Asians" reportedly turned down a big pay day from Netflix and opted for a theatrical release so to give the film a chance to be seen by audiences in theaters. The gamble paid off. 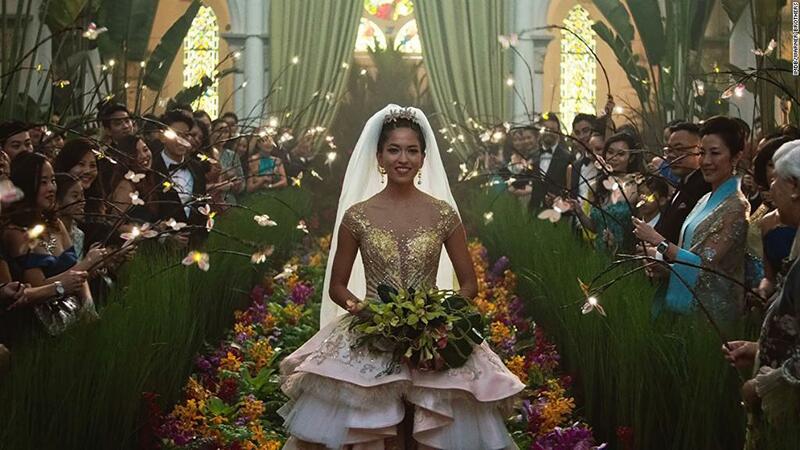 "The better-than-expected debut for 'Crazy Rich Asians' shows that the film's universal themes and sheer entertainment value was an irresistible proposal for moviegoers," said Paul Dergarabedian, senior media analyst at comScore (SCOR). "Hopefully this is another signal to Hollywood that diversity and inclusion is good business."